Thank you to Visit Fredericksburg for hosting me and making some of the meals featured complimentary. Thank you for supporting the brands and organizations that partner with Southern Belle in Training! Eileen's Bakery and Cafe (1115 Caroline Street): If you know me, you know that I can never resist a trip to a local bakery. Blame it on the fact that my first job in high school was at a bakery in my hometown! Either way, there's just nothing that beats homemade baked goods. 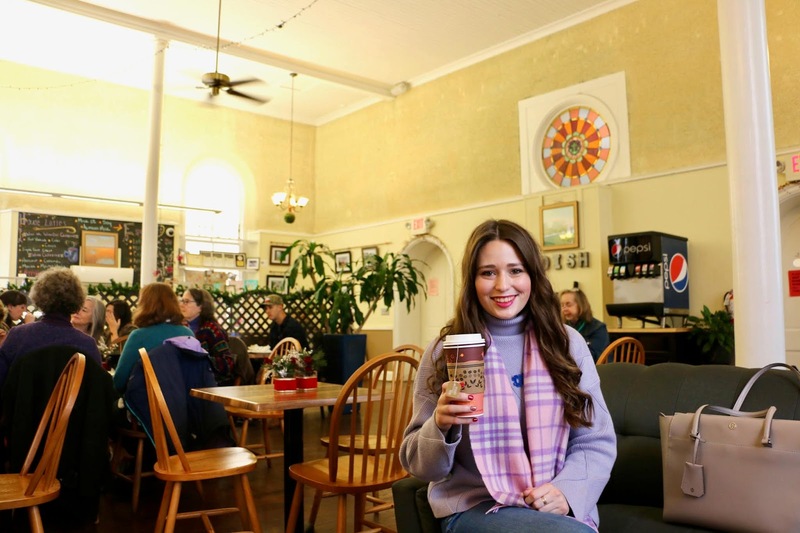 Eileen's Bakery and Cafe in Fredericksburg has a real hometown feel to it. 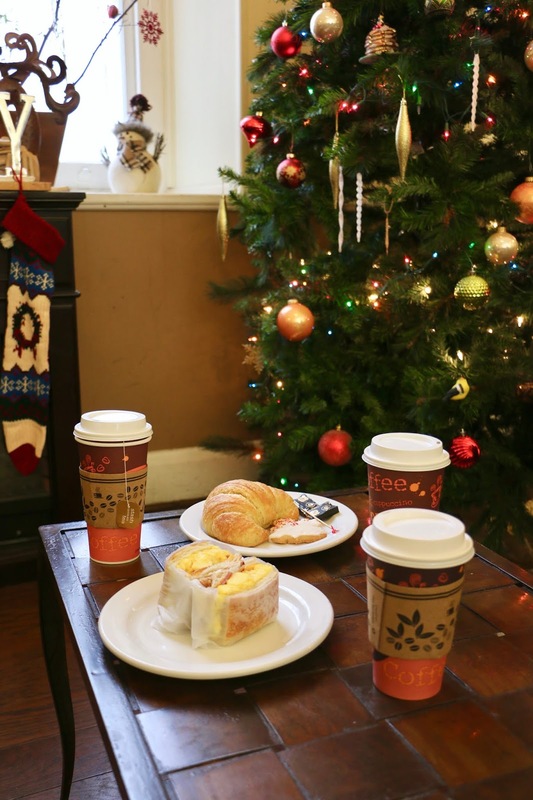 The bakery is housed inside of a historic church, which was built in the 1800s! There were a variety of tasty breads and pastries to choose from for breakfast. I ordered a butter croissant with tea, and for something sweet I treated myself to a maple shortbread cookie. Caroline and I really enjoyed this spot for a casual breakfast! 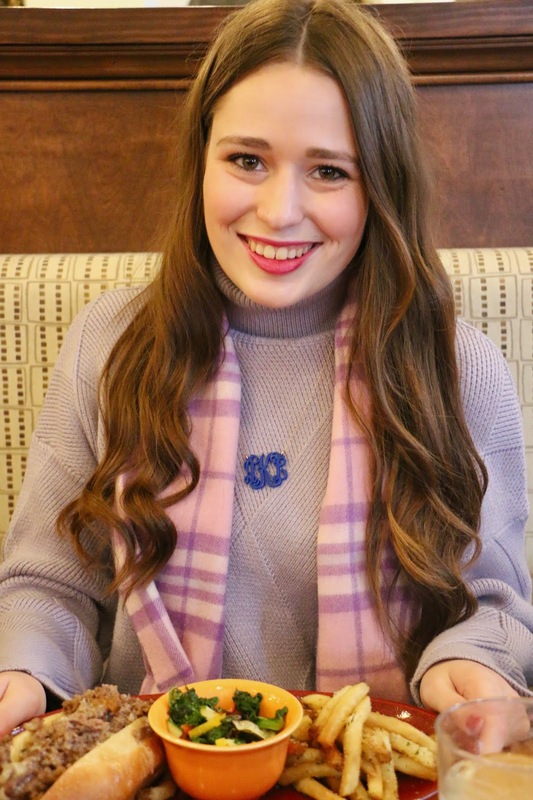 Benny Vitali's (722 Caroline Street): If you're looking for a tasty and quick bite to eat, be sure to stop by Benny Vitali's! 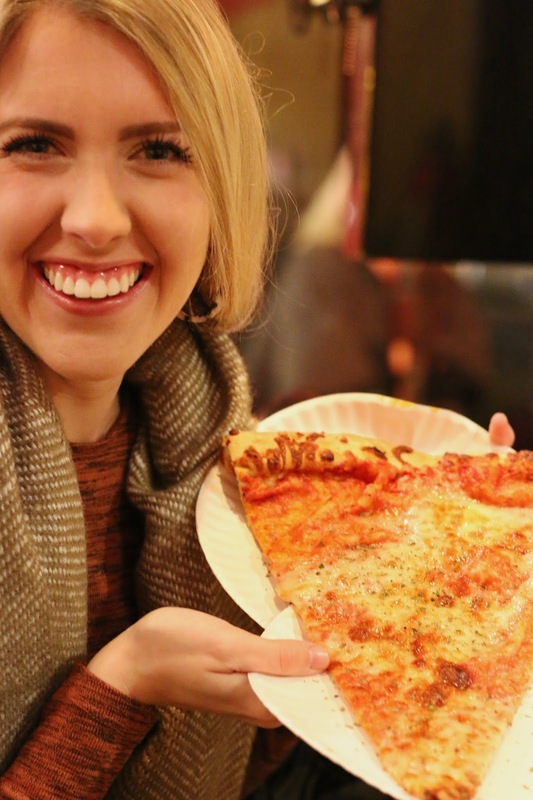 They call themselves the home of the "Virginia Slice". Virginia Slices must translate to meaning the largest sizes of pizza ever. Caroline and I split a slice in half... it was so big that just eating half of it filled each of us up! Foode (900 Princess Anne Street): Foode was our favorite restaurant that we ate at in Fredericksburg! This is a farm-to-table restaurant with a pretty diverse menu. We ate there for lunch on Saturday. I loved the setting of the restaurant- it was light and airy inside and decorated with a fun modern flair. The food was also fantastic! 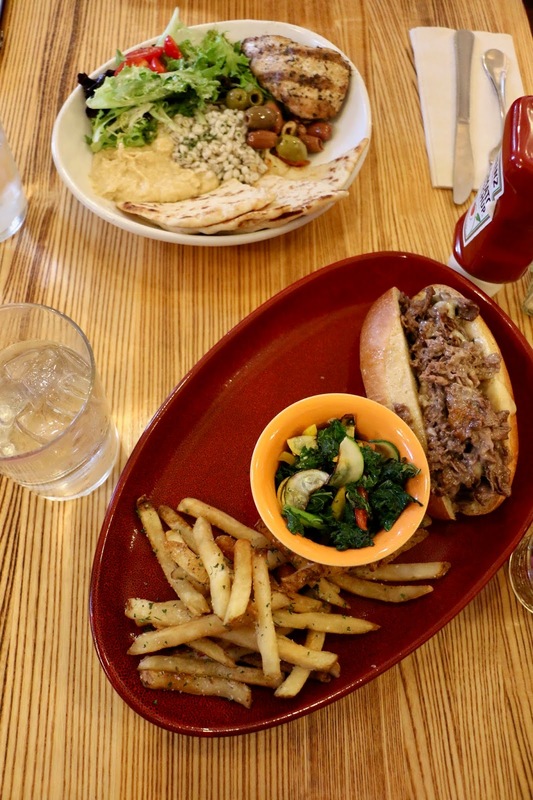 I had the shaved steak sandwich, and Caroline ordered a Mediterranean chicken dish, which came with hummus, pita and olives. I really enjoyed my sandwich, but Caroline's dish was fantastic. I may or may not have stolen several bites! Kybecca (402 William Street): Kybecca was the fanciest restaurant that we dined at in Fredericksburg! Their website describes the restaurant as being a "rustic-chic eatery and bar." Similar to Foode, I loved the ambiance of the restaurant. 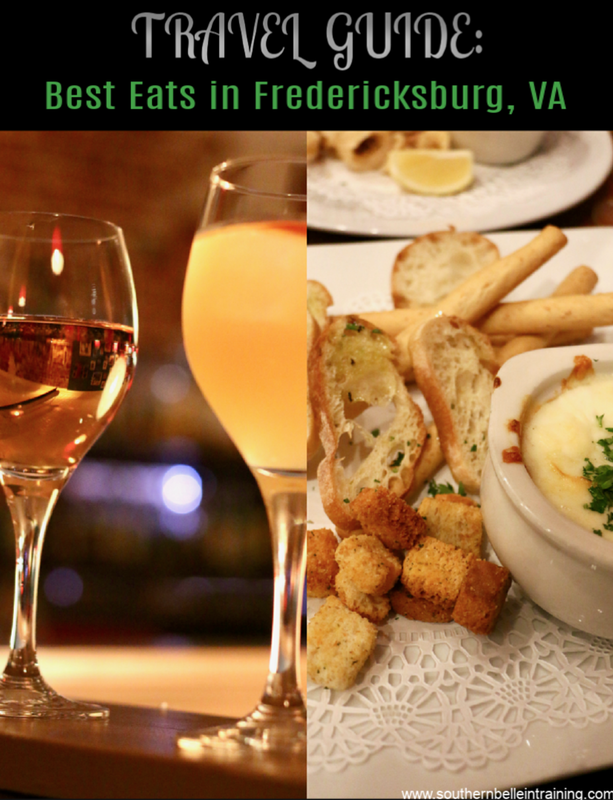 They are ranked #10 on TripAdvisor for Fredericksburg area restaurants! They do have a full dinner menu but the prices were a bit on the high end ($20-$30), so Caroline and I opted to go for drinks and dessert instead. She had a glass of wine and I ordered the Autumn Sangria. It was one of the best sangrias that I've ever had! We also split a Local Artisanal Cheese Board, and the S'Mores dessert (Neither of which photographed well, but believe me that they were great!). I have never met a cheese board that I didn't like, and the Kybecca s'mores were a really fun gourmet take on a classic treat! 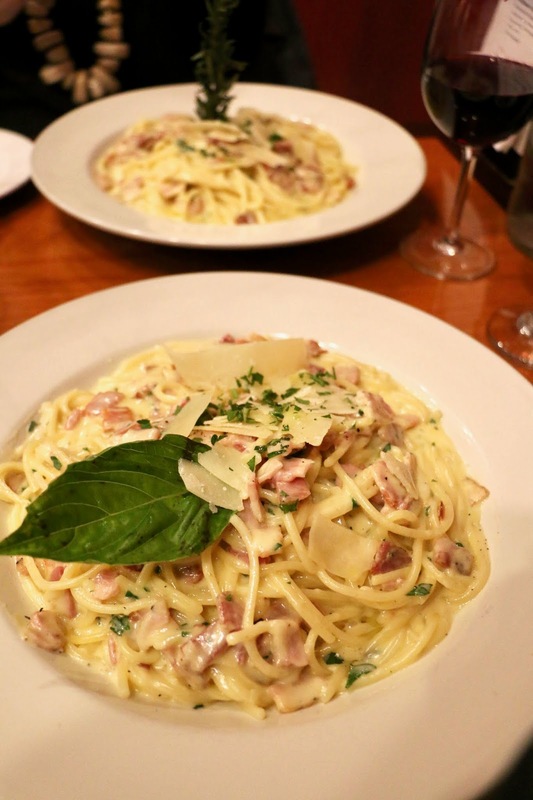 Orofino (1006 Caroline Street): If you're craving really authentic Italian food, Orofino is the place you need to visit! 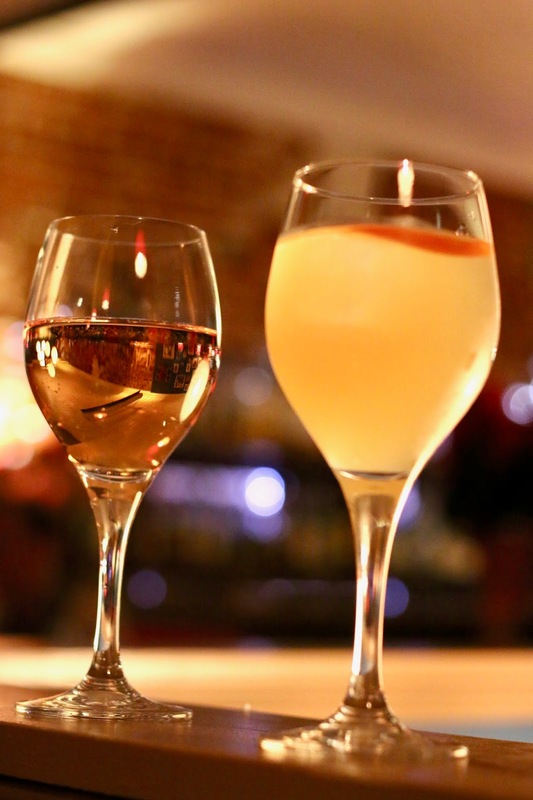 This downtown restaurant features cuisine from many regions of Italy, and each month they have a special menu with dishes and drinks from a specific Italian region. 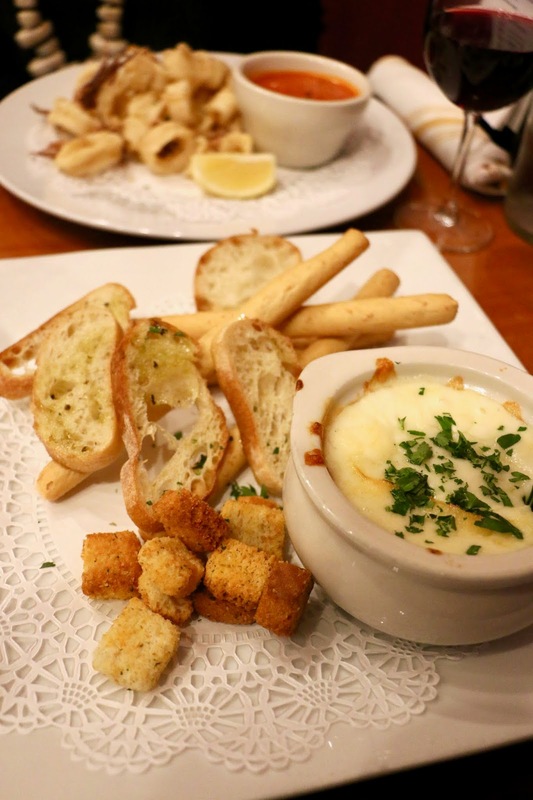 The region of the month for December was Piedmont, and the cheese fondue that I ordered (pictured below) was from that special menu! Caroline and I both ordered the Spaghetti Carbonara for our main courses. It was so filling that I didn't even come close to finishing it! Thankfully I brought it back to Charlottesville and it was my lunch/dinner on Monday. Goolrick's Pharmacy (901 Caroline Street): I saved the coolest and most unique place for last! 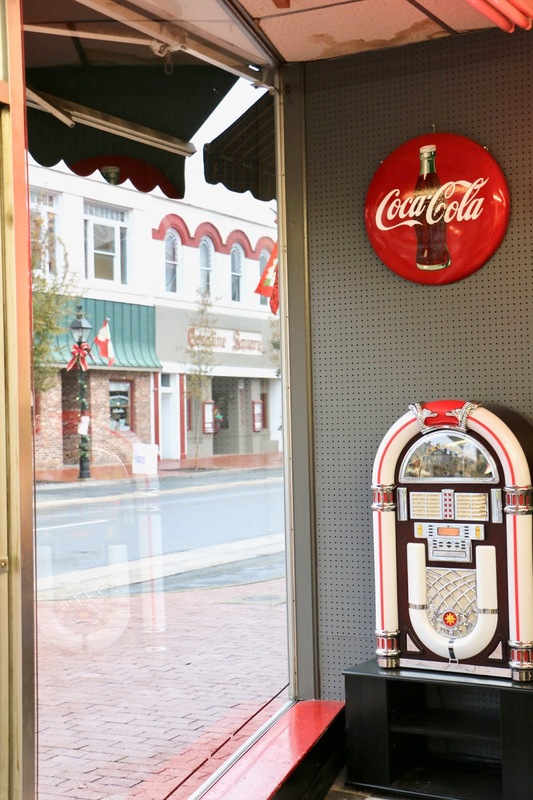 One of the coolest fun facts that I learned on this weekend trip was that Fredericksburg is home to the oldest continually operating soda fountain in the country! How cool is that? 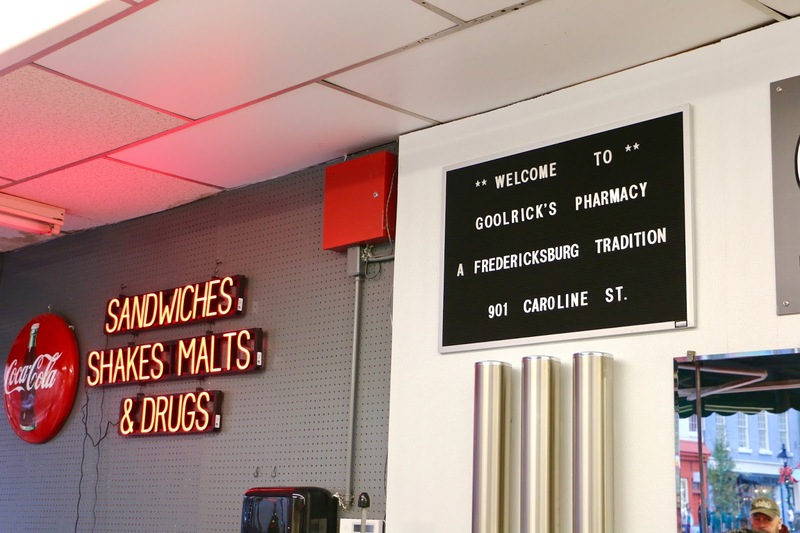 Goolrick's is an old school main street soda fountain and pharmacy. Grabbing a milkshake there was truly like a step back in time! My favorite type of milkshakes are chocolate malts, and the one at Goolrick's was wonderful. They also have a limited lunch menu with different sandwiches! It looked like there were many more great Fredericksburg restaurants in addition to the ones that Caroline and I visited. This is definitely a food town! 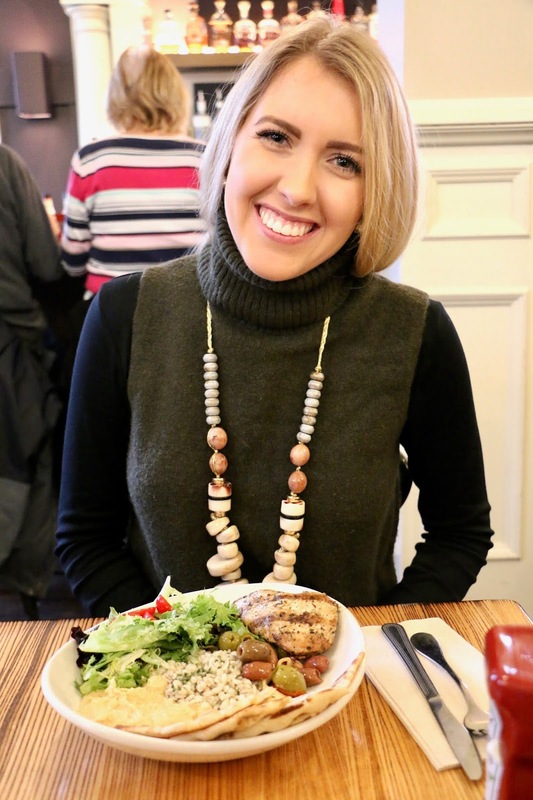 The Visit Fredericksburg website has a whole section on dining that includes information about the places that I visited, and many others! Have you ever been to this part of Virginia? I'm looking forward to sharing my Travel Guide with information about the hotel we stayed at and activities that we did- that'll be on the blog next week. I shouldn’t have read this while I was hungry! I love exploring new cities and finding great eats. This is a great round-up of places! Those giant pizza slices look amazing! My partner LOVES pizza. We constantly visit our local Costco are the slices are so big and for such a great price. If I ever get the chance, I'm sure going to try and visit Benny Vitali's! What an incredible foodie adventure. I'm drooling over the captivating photos. That cafe and bakery is calling my name. Everything looks scrumptious! These meals all look delicious! I love Fredericksburg! Such a fun town! 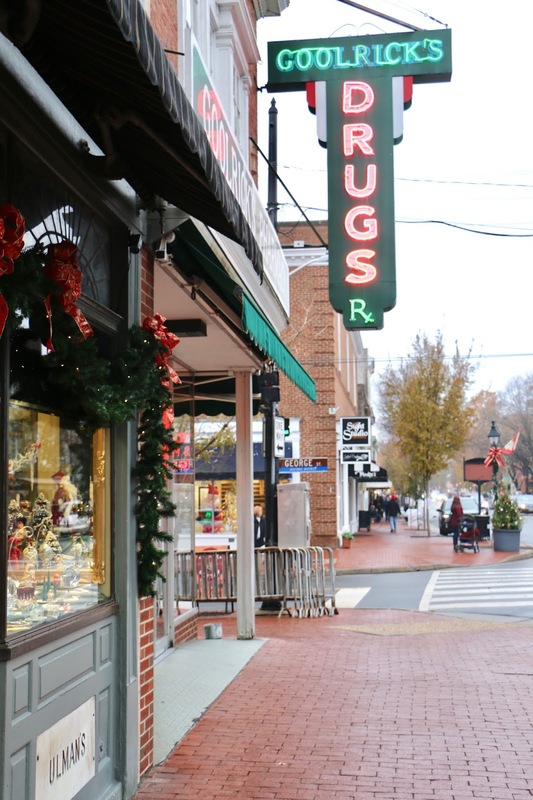 Next trip up you will need to do a blog on the great shopping in the 'Burg. Please consider this my personal invite to come see us at Kimman's. 820 Caroline St.